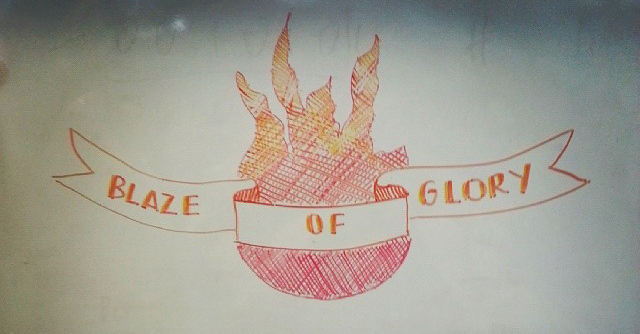 I went away over Christmas time and came back to the office a couple of weeks later recharged and ready to start the Blaze of Glory. Our funding was due to run out at the end of August so this was the last main spike in the academic book buying cycle available to us and we needed to make it count. By this time our focus had shifted from the high school market to the university market as we had realised that Paperight could make the biggest price reduction in this area. My part in BOG was to hack away at the reformatting of all A4 documents on the site, and then to reformat all Paperight novels, prioritising those on the University Prescriptions list. The look of the Paperight PDF saw a few improvements over the years, first reducing the ad-space that had seemed like a good idea at the time but was never used, and then by removing the lines above and below the watermarking. The final product looked so much better after these improvements were made. But once the changes had been made on the site I needed to update the PDFs that had already been created using the old format. To do this I used the new PDF-PDF converter tool on the Paperight server. This tool had been in the pipelines for a long time and took quite a bit of testing and bug reporting to get it working properly, but when it was ready to go it worked like a dream. I simply had to select the PDF I wanted to convert, click convert, and wait. I feel really lucky to have worked in such a sharing environment and to have had so much training. I then moved on to the reformatting of the university setworks. In fact, I was reformatting some, but also adding many books that were not yet on the site. The list was 157 titles long. First I needed to learn how to use the HTML-to-PDF converter which had also just become operational. I was excited to learn how to prepare books from HTML using this shiny and much awaited tool. Tarryn, the fearless trainer, taught me how to scrub HTML, a process that at first sounded exotic and turn out to be a little less than. Before I arrived at Paperight I hardly knew what HTML was and I certainly didn’t know what CSS was, nevermind how they related to one another. But Arthur has such a great philosophy of training his staff on all aspects the company and I gained skills beyond what were necessary for my day to day job. I feel really lucky to have worked in such a sharing environment and to have had so much training. It struck me that these students were Paperight’s target market, but this was the first time we had really spent any time with them, on their turf. This task, interspersed with our #textbookrevolution outings to Stellenbosch University and UCT, has been my ongoing task to date. Our outings to the Universities were fantastic and challenging. We handed out specially designed beer coasters to students and asked them to sign our petitions for cheaper textbooks (see Marie-Louise’s blog post for more on this). It struck me that these students were Paperight’s target market, but this was the first time we had really spent any time with them, on their turf. It was tiring approaching groups of students and getting them excited enough about the idea to sign the petition, but it was incredibly rewarding when they ‘got it’ and were genuinely enthusiastic about it. In May I facilitated the update to the matric past exam papers. These were the best selling items on the site. One of the best ways to prepare for the matric exams is by going through past papers to get an idea of how the questions were asked. Sometimes entire questions are simply transplanted from an old exam into the current one, so it is a fantastic tool for students. 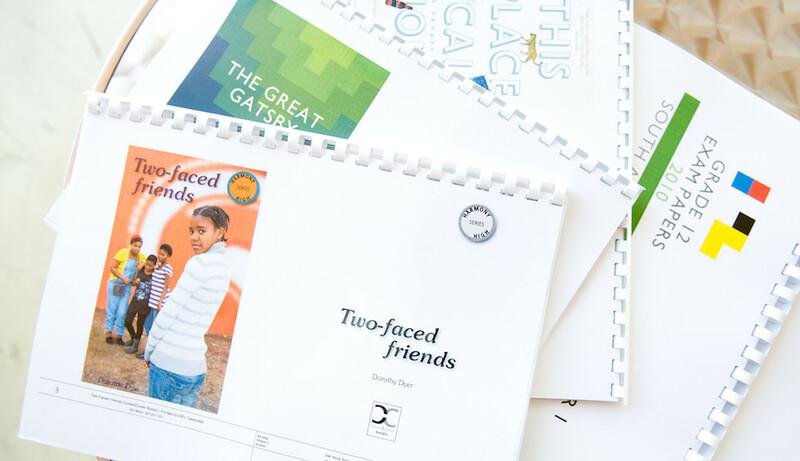 On the site we had single year packs and multi-year packs available for each subject. These would need to be updated each year as the papers became available on the Department of Basic Education’s website. I downloaded all of the 2012 papers and began working on creating the single year packs, while the freelancers worked on adding the 2012 papers to the multi-year packs. Tarryn trained me on how to use Acrobat and InDesign and before long I was churning out matric exam packs and other books. The metadata for the updated exams also had to be updated to reflect the fact that they now included papers from 2012. This had to be done on the site as well as on the master metadata sheet. At the end of May I left Paperight to take up an internship at the US Copyright Office in Washington, DC for eight weeks, and to visit the Copyright Clearance Center in Boston. I had an absolutely amazing time researching foreign copyright law for the Register’s Office, and exploring DC. After what felt like ages I was excited to come back to Paperight in mid September. We kicked January off by updating all the pricing on the Paperight site. One of our major pivots from the previous year was our decision to charge a license fee/service fee for all documents, and to have no free material available on the site (excepting, of course, those Creative Commons titles with a Non-commercial license). 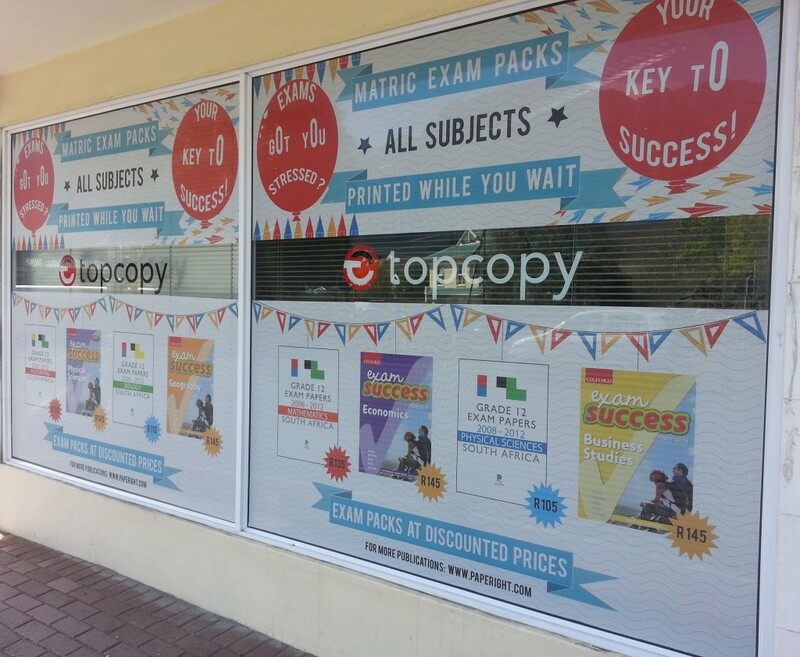 This included charging a nominal amount for all Paperight editions and matric past papers. Initially, we had imagined the free content as a draw card, that would result in people also purchasing paid content. We found that while the former was true, the conversion was not happening. We speculated that consumers found the draw-card content valuable in itself, and that they would be willing to pay for it. The balance between paid and free content on the site was skewed heavily in favour of free, and given that this content accounted for the majority of license purchases and downloads, we needed to ensure that we were making enough money to reach sustainability. Initially, we had imagined the free content as a draw card, that would result in people also purchasing paid content. We found that while the former was true, the conversion was not happening. We speculated that consumers found the draw-card content valuable in itself, and that they would be willing to pay for it. We met with HMPG about medical journals, and continued our follow ups with Jacana and other publishers with strong African Literature lists. One of the latter included PanMacmillan/Macmillan, who we’d only recently contacted. We also began contract negotiations with Pearson, a process which would later lead to the revision of our standard contract for all rightsholders. The month also included a lot of prep work, with continued work on Mampoer shorts, GetSmarter, and csv and document uploading — we had a bit of a backlog at this stage given all the prep work done by our freelancers (Caitlin and Craig). Other work included my proofreading of the Paperight catalogue, organising with PASA for attending the London Book Fair, and overseeing authorship of Now What? By this stage its author Paul had drawn together a final draft and we’d sent it to nine Together We Pass affiliated students for feedback. 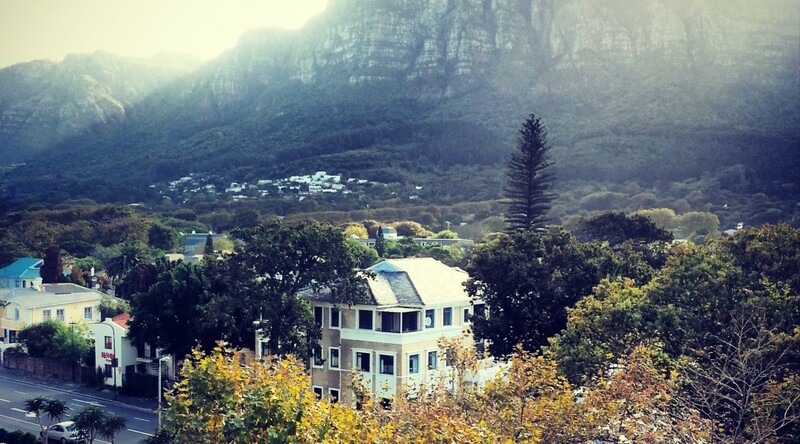 October began with the revision of metadata, including adjustment of images on the site, and replacing the English language descriptions of Afrikaans exam packs with Afrikaans ones. 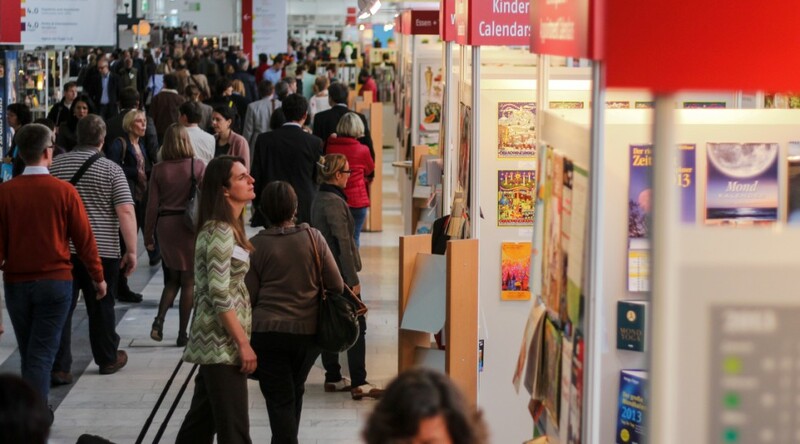 Later in October, I travelled to the 2012 Frankfurt Book Fair with the mandate of developing publisher relationships and sourcing content leads for Paperight. I attended seminars, workshops, and panel discussions given by industry professionals and leaders, with a view to learning more about the inner workings of the publishing industry. I was also able to get a sense for where the industry is, and where it sees itself moving in the future – particularly with regards to developments in the digital sector. Those who are already making their material available on Paperight (in order to build upon an existing working relationship). Those who we have already contacted about Paperight, and who are keen, but who have not officially provided us with material or signed contracts (in order to ‘close the deal’, and foster trust). Those who are hearing about Paperight for the first time (in order to build contacts and establish relationships with potential rightsholders). I developed a number of connections and potential leads, and learnt a lot about pitching the Paperight concept to publishers, and fielding their questions about the service. Having a stall ties you down as one team member has to constantly stay there. It also does not necessarily provide a strong ROI, as the people who we want to talk to are not usually going to be the ones walking up to stands. Obviously, having more than one team member working the floor allows you to cover much much more ground – especially when these efforts are targeted and coordinated. Our friends in the Snapplify team were able to generate 5× the leads that I was. It is important to have a ‘hit list’ of publishers/people that you want to target, so you know who your big fish are. I did this to some extent, but could have done it better. I think this task is simpler when you have a clear idea of what the fair looks like, and who will be there, as well as a focused strategy around the leads you want to generate and nurture. This is something that I will work on for next year/time. Info sheets would be useful to leave with publishers who you are talking to for the first time. A number of people actually asked me if I had an info sheet for them, especially towards the end when everything is mixing together in your brain, or when the decision makers have left and the minions cannot convey the ideas properly. Our latest website update now allows the option for watermarking documents with ads or without ads. 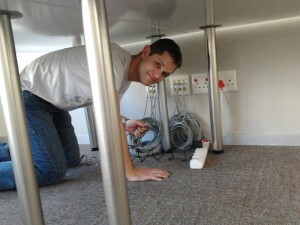 This was our crucial first step towards product improvement. We found over this first year that outlet owners and managers were not inclined to subsidize the cost of paper by selling advertising on their documents. As a result, we decided to remove the ad space we’d left at the bottom of every page. Because many of our PDFs have been laid up to account for the ad space, this meant that the watermarking functionality had to account for documents either with or without ad space. It also meant that the 900+ documents that were on Paperight would eventually need to be reformatted to remove ad space. We’d have to lay up the documents from scratch, with the text now able to take up more of the page, which improved readability. By the end of September a total of 1081 titles were listed on Paperight, officially surpassing the amount of titles we had on Paperight 0.5. 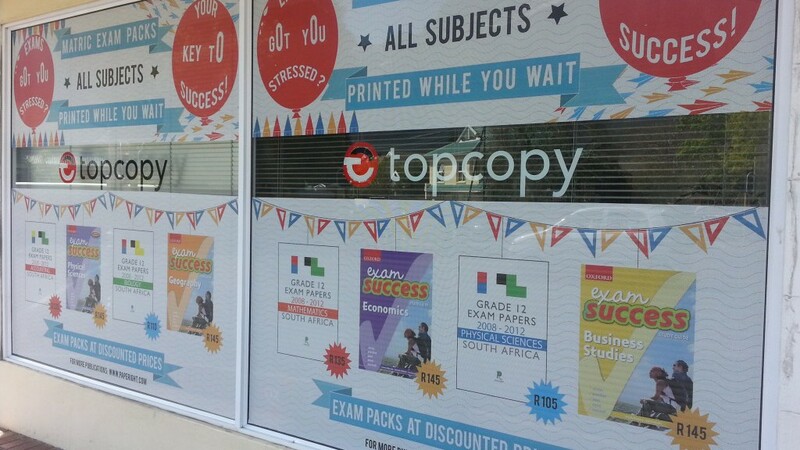 We began by reformatting matric exams, our most popular set of products. We uploaded more Paperight Editions, including Shakespeare titles, now using the new format. By the end of September a total of 1081 titles were listed on Paperight, officially surpassing the amount of titles we had on Paperight 0.5. We did our first round of Rightsholder statements for sales on the new site. These had to be created manually, and emailed to each publisher. I also conducted the first real set of enmasse follow ups to publishers that I’d contacted and not heard back from. And the team was joined by Oscar, who started his internship at Paperight with metadata related tasks. His main focus is on reviewing existing metadata, and improving it where possible. The Shuttleworth foundation approved a project pitch to send me to the Frankfurt Book Fair, so I began preparations. This included setting up of meetings, research, and pitching preparation. So I’ve been growing our team in numbers and, I hope, quality, for nine months now. Tarryn and Nick, our content team, have been amazing. Both high-achieving type-As, they’ve ensured our products are meticulously documented and organised. A recent achievement has been their forty-page Paperight user manual for outlets. It’s beautifully written, and includes not only step-by-step guidance on using the site, but also clear guidelines and suggestions for how to use Paperight to grow a printing business, even beyond printing books out for people. The content team has also been keeping our blog busy – Nick’s author-of-the-week posts are particularly enjoyable. We have a growing mailing list, and Twitter and Facebook followings. These will be increasingly important over time. A major highlight of the last two months for me has been hiring our outlet team. Zimkita, Zukisani and Yazeed joined us in April with the job of signing up outlets and providing ongoing training and support to them. Each brings a different skill set to Paperight that’s been invaluable: Zukisani has contacts at almost every school in the Western Cape, especially in the underprivileged areas we’re targeting; Zimkita’s six years at Vodacom customer service make her our friendly and meticulous email- and phone-support person; and Yazeed’s experience running his family’s business, combined with a startling energy for producing high-quality work, brings great business-savvy to the team. An unglamorous but critically important side of our work over the last months has been Paperight’s back-office setup and systems (check out our view above). Most importantly, Paperight is now a registered company with bank accounts. We’re days from moving into our new offices (sublet from Electric Book Works). We have workflows around various online tools for bug tracking, accounting, and document management, and our internal wiki is now a substantial store of invaluable info, from guidance to new staff and practical how-tos to recommended reading for team members. May saw us moving into Paperight HQ, and going live with Paperight 1.0. The from-scratch site developed by RealmDigital included a simplified purchase process, account-top-up mechanism, outlet dashboard, and instant PDF delivery. This last meant that we no longer had to export and mail PDFs for each order as it came in, but the delivery function required that we prepare and upload documents in advance of sale. We could no longer list 1000 documents and process them only as orders came, we had to ensure that all the items listed on the site were processed in advanced. We began by uploading the 88 documents that we had already processed (52 of which were the featured products on our poster). New uploading procedures (via CSV) resulted in some initial teething issues, and workflow re-design. We began maintaining an uploaded content list, in Dropbox, using file naming conventions for version control. With the launch of the new site came other administrative updates. I re-registered all of the publishers/rightsholders. Arthur migrated the blog and wiki sites to new addresses, and we had to update all in-text links within the wiki. We began testing the new site’s functionality, and logging bugs to be fixed. Nick and I wrote a full training manual for the site, which was uploaded, and sent to outlets. This manual would later form the basis of the Paperight help site. Apart from the new site-related work, we continued processing matric exam packs, writing CSV for these, and uploading them to the site. By the end of May, we had officially uploaded all of the non-language exam packs. Caitlin started working with us on a freelance basis, and assisted this greatly. The African Books Collective sent us 300 titles from their aggregated publishers. It was the single largest submission of content that we had received thus far – a very exciting step forward. We also flirted briefly with getting comics on to Paperight, in the hopes that high school students would be interested in this kind of content. We got Project H (our first graphic novel), but other options fell through and we didn’t follow up on them actively as we had since moved on to other ideas. I started work at Paperight on 1 March 2012. 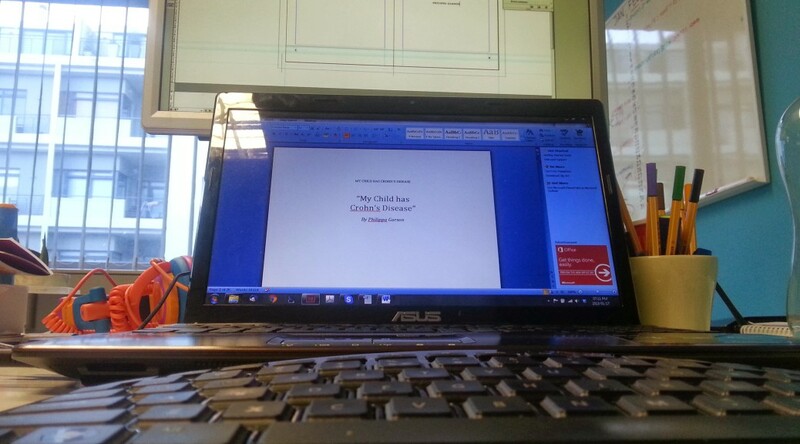 I finished work at Paperight on 31 March 2014. A lot happened between those two dates. My first tasks at Paperight were quite simple: design covers, prepare documents when orders came through, and to write a weekly featured author post. 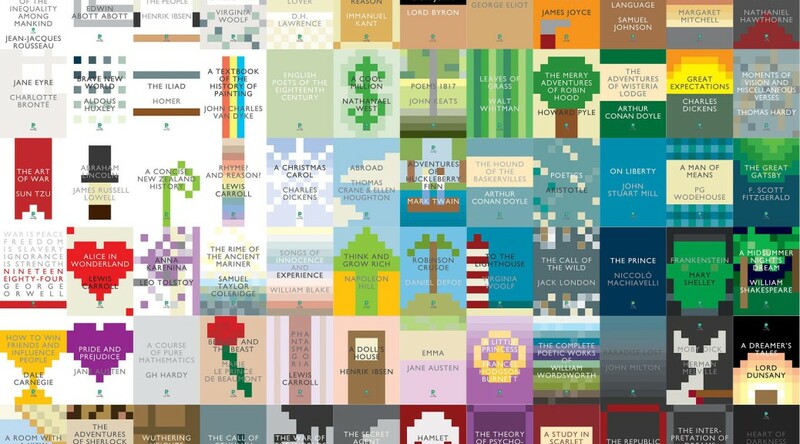 During my time at Paperight, I designed roughly 900–1000 covers for Paperight editions of public domain books; most of these covers were designed during my first two months in the job. Tarryn had also initially delegated a small amount of content management to me, in the guise of master sheets and product uploads to the Paperight site, which at the time was a WordPress shell with what seemed like a hundred add-ons and extensions installed. Over the first few weeks, however, my incompetence with regard to file and content management was made apparent. I was less than meticulous with file naming (to Tarryn’s significant chagrin), and even less so with keeping my version of the sprawling content spreadsheet up-to-date. I think that that had a lot to do with the fact that I was barely Excel-literate, and the thought of having to update the spreadsheet every time I designed a cover (all 900 times I did so) and every time I had to upload or change the details on a product page seemed like a particularly torturous circle of hell.